You’re still here, which could only mean one thing…..you saw something different. You saw stories that you connected with. Honest photos that made you feel something…and while you’ve seen other photographers work, this time you felt something real. You don’t want traditional or posey…you want relaxed and intentional..or as we like to call it ‘honest and unfussy’. You think having a married couple shoot your wedding is pretty damn awesome and if every guest at your wedding thought you were friends with your photographers that would be even awesome-er. Because you’ll be relaxed in front the camera knowing that everything is being captured – not just how pretty the flowers are, but the raw moments when you saw your Dad cry for the first time in years. You care about having timeless, artistic images that capture your day…and if it rains..it rains…and if the electricity goes out then you’ll build a fire and light some candles. We think it’s great that you care…because we want you to! We don’t want you to book us because we’re local or we offered the best package. We want you to want us. For us, working with couples has always started with conversations. This is where we get to know one another, swap stories, get excited about the future, and hear more about who you are as unique individuals. Because we limit the number of couples we work with every year, this step is incredibly important to us and begins with the inquiry form HERE! 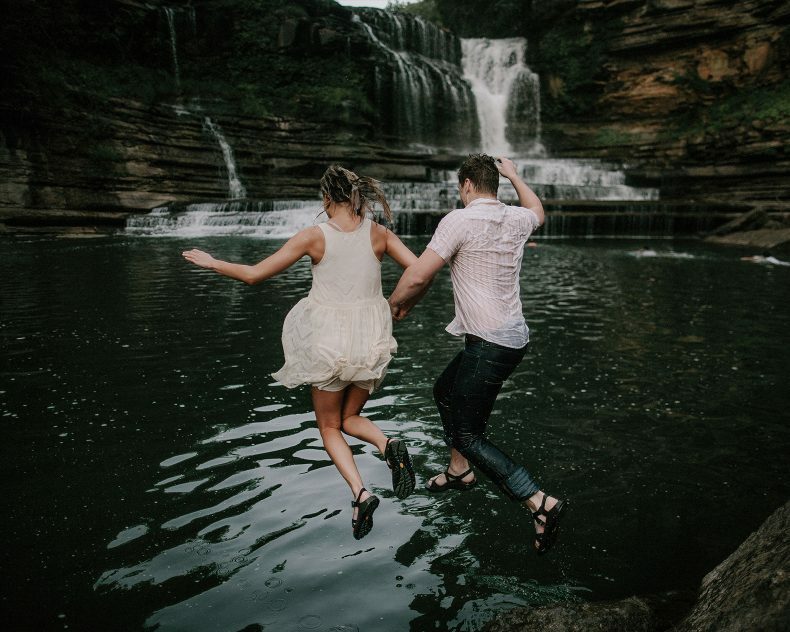 The engagement session is your chance to slow down, to reflect on all that has brought you to this moment, and set aside the wedding planning for an afternoon to love on each other, have FUN, and practice being in front of the camera! We love getting to work with couples to provide an enjoyable and relaxed wedding day experience. 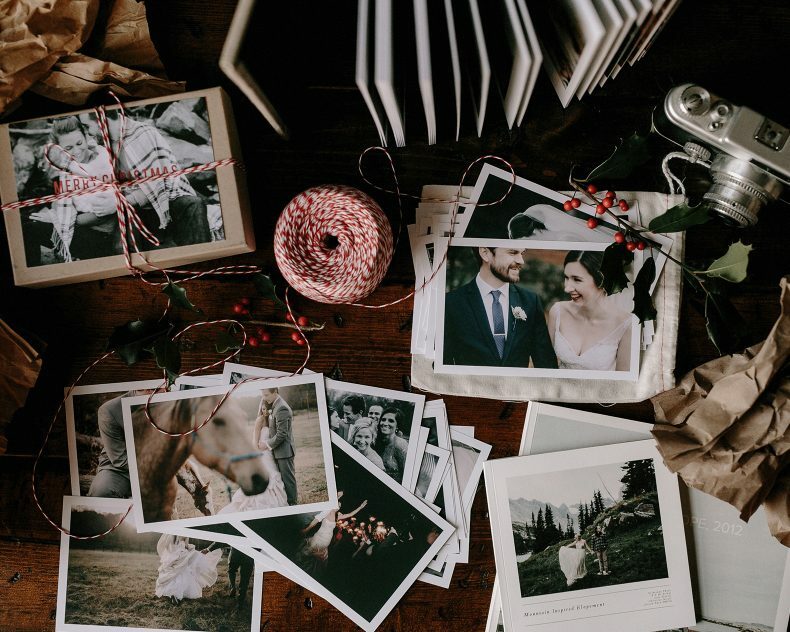 We’ll provide tips, advice, and guidance for creating a stress-free timeline — making sure that all you’re focused on when the wedding day rolls around is soaking in your moments! Remember the way you felt on your wedding day each time you flip through your album. Cherish the little moments and reminisce with loved ones as you thumb through your print box. Let’s get those images off your screen and into your hands in medium that fits your house and lifestyle. We love your work, we love you, what’s next? Heck yeah! If you’ve spent any amount of time on our site you know that we love getting to know our couples and our process always begins with the contact form HERE! Give us the scoop on who you are, what you’re looking for, and we’ll be in touch with a phone call. Yes! Of course! Our craft has taken us all over the world connecting us with amazing people and incredible stories. Check out the MAP in the blog to see a few of the places we’ve been! A friend offered to shoot our wedding. Why should we hire a professional? We believe in what we do. We’ve turned our love for photography into a passionate career and have spent years educating, growing, and fine-tuning our craft. As a husband and wife, we believe wedding photography is the most important investment you can make when planning your wedding. You don’t get this day back. Don’t settle. Ever. Is this what you do full time? Yep! 6 years and counting. We have back up gear for our back up gear. By the time we leave your event your photos will be backed up in 4 different locations. In our office our data is backed up with redundant server storage and backed up to an offsite location as well. Of course. There’s something magical about being able to capture two people, two hearts, and two stories joining together. To tell your story well, we need to know your story. To know your story, we need to know you! Engagement sessions are the perfect setting for you to get comfortable in front of the camera (and realize it doesn’t have to be scary!) 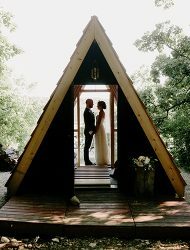 a chance to slow down in the busyness of wedding planning, practice PDA, and a great way for us all to get to know each other a bit before your big day. We want you to know you can trust us so when we show up on your wedding day, we’re not just ‘the photographers’ …we’re Brad and Jen. We don’t take every wedding that comes our way. We strongly believe in having a connection with every couple that we shoot. There is a wedding photographer fit for every wedding and we only want what’s best for YOU. I hope you both know that we were truly, truly impressed by you both. I know we are technically your clients, but I can’t express enough how the absolute best part of our wedding was in fact you both. I don’t want this to seem like some sort of Yelp review or subjective judgement upon your photography skills — because truthfully, if y’all had never snapped one picture but only were there beside us during the whole thing — I would have paid for that too. Friendship and support are invaluable. And even though I’m fumbling for all the right words, all I mean to say is thank you. Thank you for teaching us how to appreciate such an incredible day and thanks for being true friends to us. Whether we were that to you or not. Brad and Jen are tremendous artists. What they capture in a few moments is something you want to hold onto for a life time. They are beyond adorable and a joy to be around. I have to say that we had a lot of laughs and felt very comfortable with them. These are definitely the kind of folks you want to have around you on an important day. I appreciated how Brad and Jen were sensitive to what a milestone a wedding can be. They gave us many opportunities to connect with each other and refocus on what was really important. That being said--these two are the best! Hire them in a heartbeat. 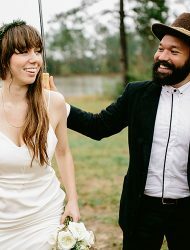 Brad & Jen are incredible wedding photographers. 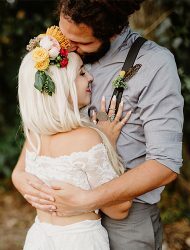 They captured our engagement (literally - my husband hired them to capture the proposal) and I immediately knew that they would be our wedding photographers. Their energy and understanding of life, love and every moment in between gives them the ability to invoke and home in on these emotions so they last forever. Our wedding day was seamless. We of course appreciated all of our vendors, but Brad & Jen went above and beyond in every aspect of their roles and even beyond. They understood timing, made sure our expectations were set, and they exceeded them. They were on time, ready to make the day about us, and made sure we were given the time and space we needed to truly remember our wedding day. They captured our day so perfectly, it's hard to imagine that day without them! There are not words to describe the talent this couple possesses. 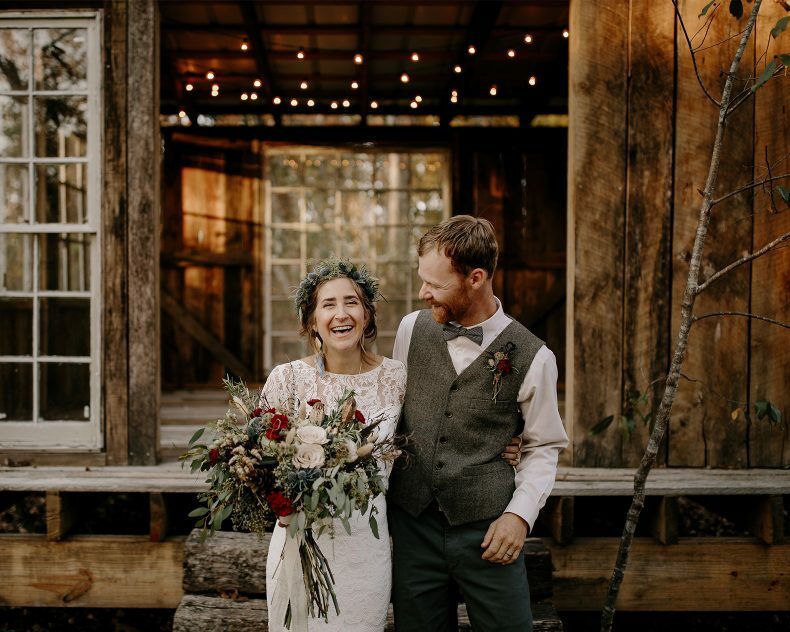 I have worked with Brad + Jen professionally as well as having them photograph my own wedding and hope to continue for years to come (them shooting my interiors… I have no intention of becoming a serial bride!). They are warm, intuitive, professional, authentic, extremely efficient and truly feel like extended members of your family. On a day that is so deeply personal and meaningful, to have this in a photographer is invaluable. I say with absolute conviction, they are the best there is. Period. So let me tell you first about Brad + Jen the photographers: They are artists. 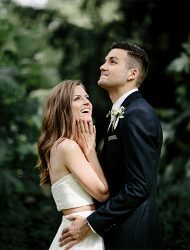 They captured the emotion, the moments, the memories, the reactions, the intimacy of our wedding in the most beautiful images. It's the best investment we made, and I relive our day through those photos - and will forever. You can see the vision, the quality, the perfection of their photography on their website - my words don't do it justice. But let me tell you about Brad + Jen the couple, the people. They are real, bold and thoughtful. They are enlightening and kind. 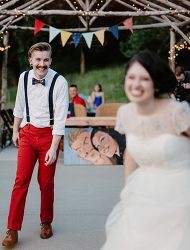 We truly enjoyed them at our wedding, and many guests (including my father) have raved about how cool and amazing they were. They are also an experience, if that makes sense. The entire year leading up to our wedding, from engagement photos on, they left us with surprises and words that really made us think about the journey ahead. (I won't go into detail, because then they won't be surprises for you!) They made our wedding so much more special than I could have ever imagine. And we'll have the memories of them, and our breathtaking images, forever. Through their process of getting to know Zach and I as a couple- Zach and I learned more about each other. We laughed and cried thinking about our story and anticipating OUR wedding day. 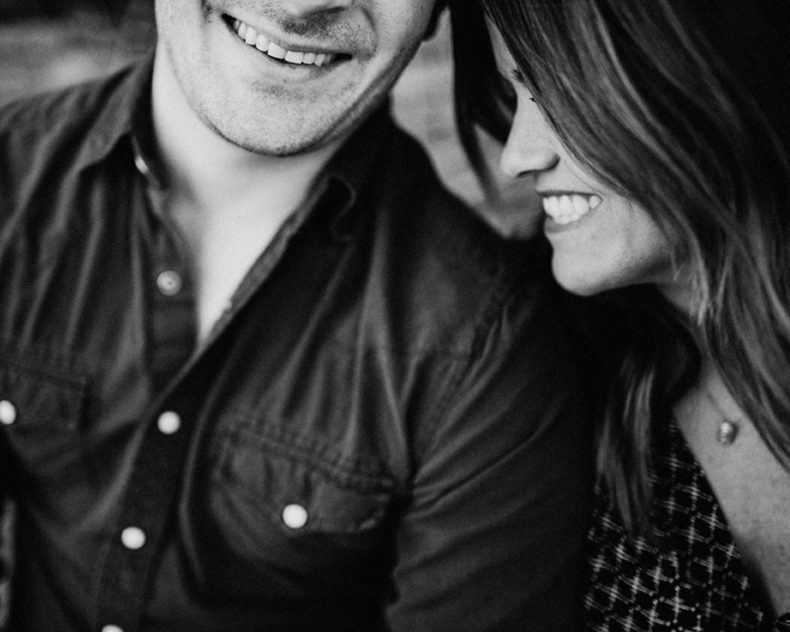 From the calls, engagement shoot, constant encouragement, and wedding day experience Brad and Jen changed us. They shined lights on us. They opened us up to a deeper vulnerability with each other and gave us memories to last a lifetime-This is all BEFORE getting out images back. Working with Brad and Jen was truly an experience. In life everyone is busy, but Brad and Jen stopped to appreciate Zach and I in every step of our wedding process. It would have been enough if that’s all they did. However then we received our images… I’ve never spent so much time looking over images. Examining each moment and recalling the exactly what was said and how we felt. Brad and Jen have such an amazing eye for life. They captured moments that we will never forget and moments we missed that we were able to truly experience through the images. I have continued to and will always say that chosing to work with Brad and Jen was the best decision we made in planning our wedding. 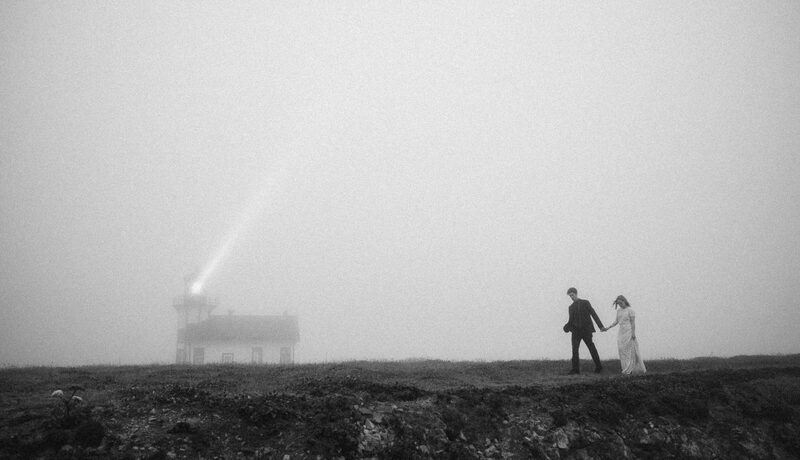 Brad + Jen captured our wedding in the most perfect way possible for my wife and I. Their dedication and attention to detail captured our favorite moments and helped us keep our memories alive forever. Can not recommend them enough, they are communicative, flexible and their approach puts their client as number one. They simply are the best. Brad and Jen are the best! They captured such brilliant images while coaching us and keeping us in each moment. They really made each picture special and for that we thank them. 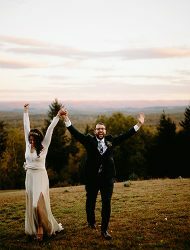 For anyone looking for a unique and personal style to their wedding photos, Brad and Jen are the ones to go to, hands down. Brad and Jen are absolute gems. From the moment that we started talking to them, we could feel that something was different about these two. That they saw weddings and people's relationships not just as an opportunity to take good pictures, but as an investment. 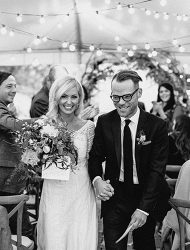 We cannot think of one thing that we could want more from them, and they poured into us over and beyond what you would ever consider from wedding photographers. We feel honored and blessed to know only have them as our wedding photographers, but as our wedding experience, and to have the chance to get to know them. They enriched our process ways we never dreamed of. On top of all of this, the artistic quality of their photos will absolutely bring you to tears and capture the memories you cherish most more beautifully than you could of imagined. If you are lucky enough to be able to get them, I cannot recommend strong enough that you take them.